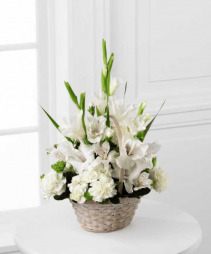 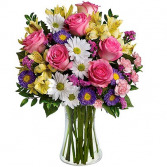 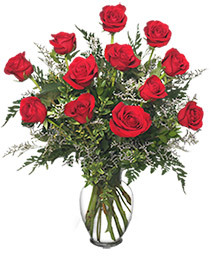 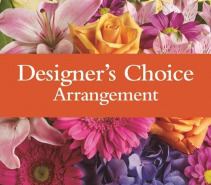 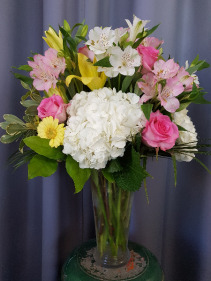 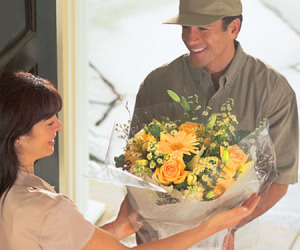 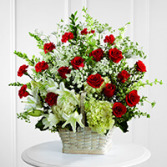 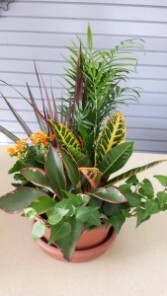 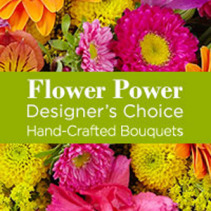 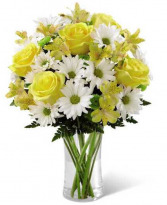 Let us design a bright seasonal fresh seasonal flower arrangement for that special someone. 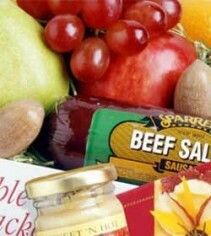 Made to order Fruit & Gourmet Baskets. 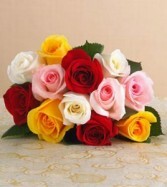 Solid or multi colored rose cut flower bouquet. 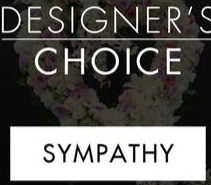 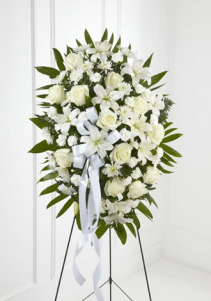 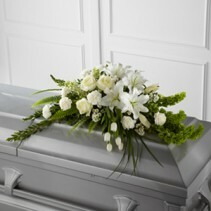 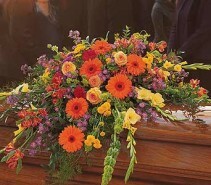 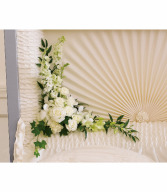 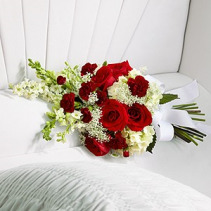 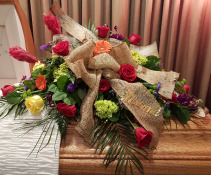 A mix of red & white (or color of your choice) flowers to lay inside the casket. 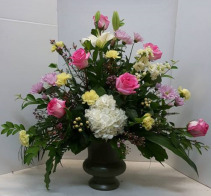 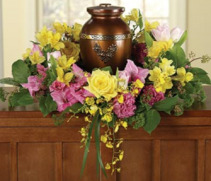 A mix of pastel summer colored flowers in a urn vase with lush greens.